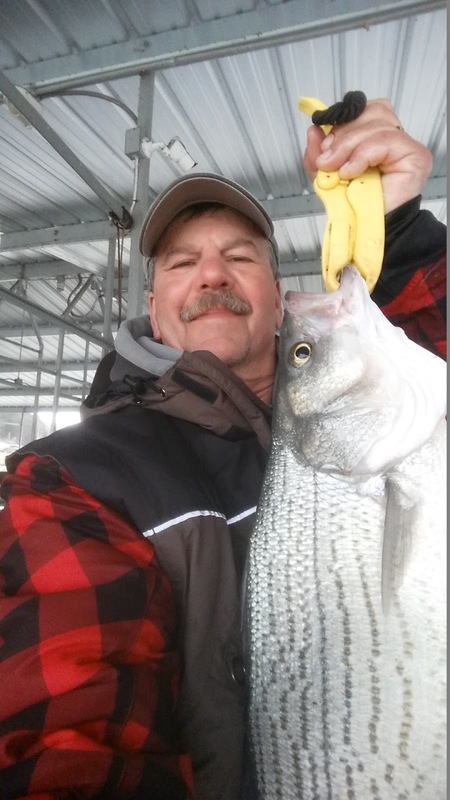 Norfork Lake fishing is still trying to get to a consistent spring fishing pattern. Not a lot has changed over the last week except for the ups and downs of the weather. Everyday brings different weather. But on a positive note the crappie and bass bites are good and the striped bass bite is fair. 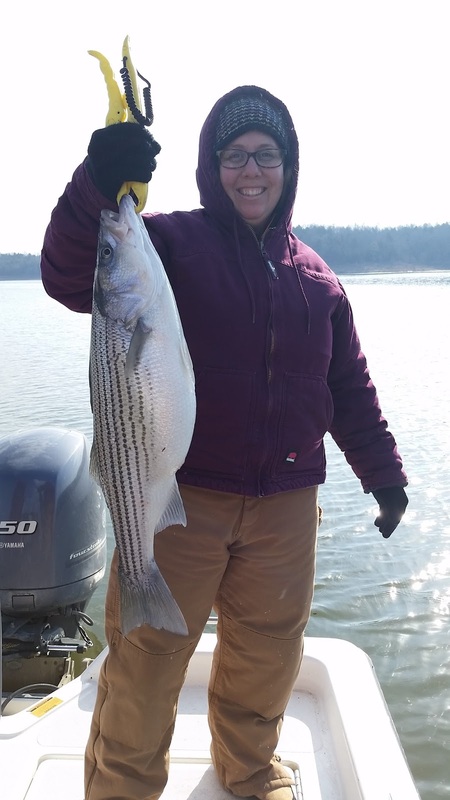 Striped bass are still located back in the creeks heading towards the warmer water. In the late afternoon they tend to head out a short distance, but are still in the creeks. Most of the stripers that I have caught over the week have been on live bait, threadfin, gizzard shad and shiners. They have mainly been hitting free swimming baits (with no weights) or baits with just a small split shot. If you're fishing with no weight, do not move much, and let the bait swim free. They will go to the depth that the fish are looking for. If you use a small split shot move slowly with your trolling motor so as to keep the baits farther up in the water column. If you want to use down poles with a larger weight set your depth at about 15 feet deep. I am doing both, but am getting most of my strikes on a small split shot rig. 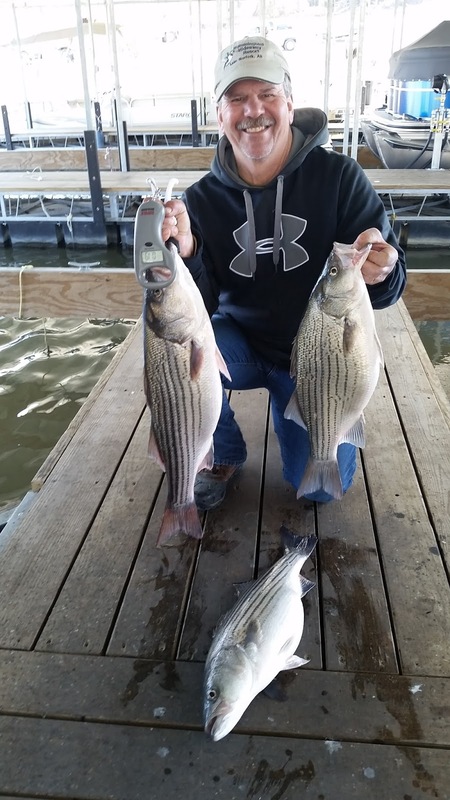 The cold fronts do affect how the fish bite, but the fronts have not chased them out of the creeks. Artificial baits are working as well. If you like to troll, use an umbrella or Alabama rig. Your bait needs to be between 10 and 20 feet deep. The other day on my way back to the resort, I was checking out a few deep bluff lines located back in the creeks and found big hybrids on the bottom in 25 feet of water. I was able to drop a spoon and vertical jig and caught a really big hybrid. Early in the morning the fish can be in really shallow water then as the day wears on they tend to move out to 30 - 40 feet deep water. Crappie fishing has picked up. They are still on the brush piles and have not moved onto the banks to spawn at this time. I believe they really want to, but the cooler weather is keeping them from proceeding. 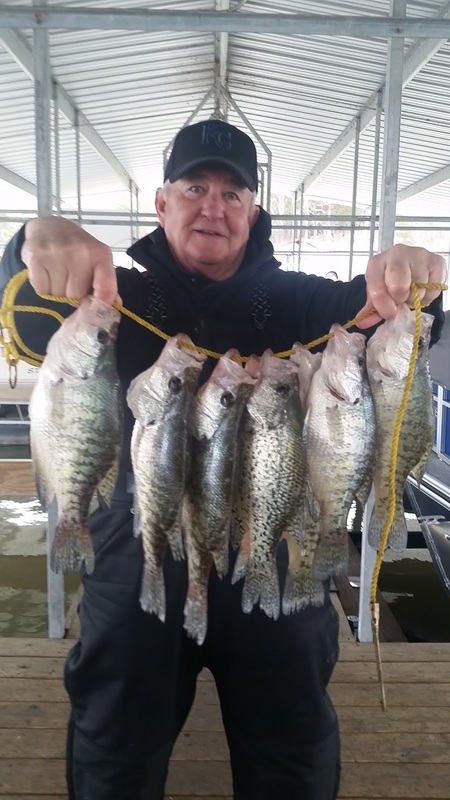 A few warm days and nights should get the crappie heading to shallow water. One of our guests found crappie on 25 feet deep brush piles. The fish were near the top of the brush 15 - 20 feet down. It seemed to him that if he went deeper he only caught smaller fish. Vertical jigging a small 1/4 ounce spoon was working great, but using a small grub with a 1/8 to 1/4 ounce jig head will work as well. Of course, live minnows on a slip float will work wonders with the crappie, as it does with all species. When they move to the banks cast out a small spinner bait, such as a Roadrunner, or a small crank bait or a small grub to catch some of these shallow fish. The largemouth and spotted bass bite is still good. The pattern is basically the same as a week ago. Head about half way back into coves and cast out a red crank bait. The red color is working best in the stained water, but if you are working in browner water try a lighter color, such as white and chartreuse. Norfork Lake level has risen slightly, about 4 inches, over the last week and currently sits at 553.51 ft. The surface water temperature has stayed about the same from a week ago and currently ranges from 49 - 53 degrees, depending on your location on the water. Parts of the main lake, as well as, some of the creeks are clear and others are stained. 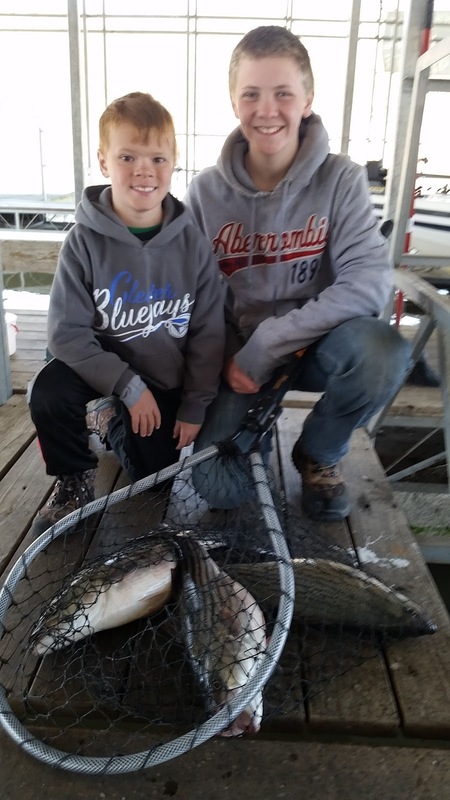 I have fished most areas of the lake from the mid lake creeks to the Bennetts area, and up to the Red Bank area. All species of fish are scattered throughout. Hummingbird Hideaway Resort's annual fishing derby has commenced. Win large cash prize for the longest fish in three different species, along with a chance to win a free week stay. Give us a call at 870-492-5113 to make your cabin reservation and to join the derby. Go to our web site for further details at www.hummingbird-hideaway.com.